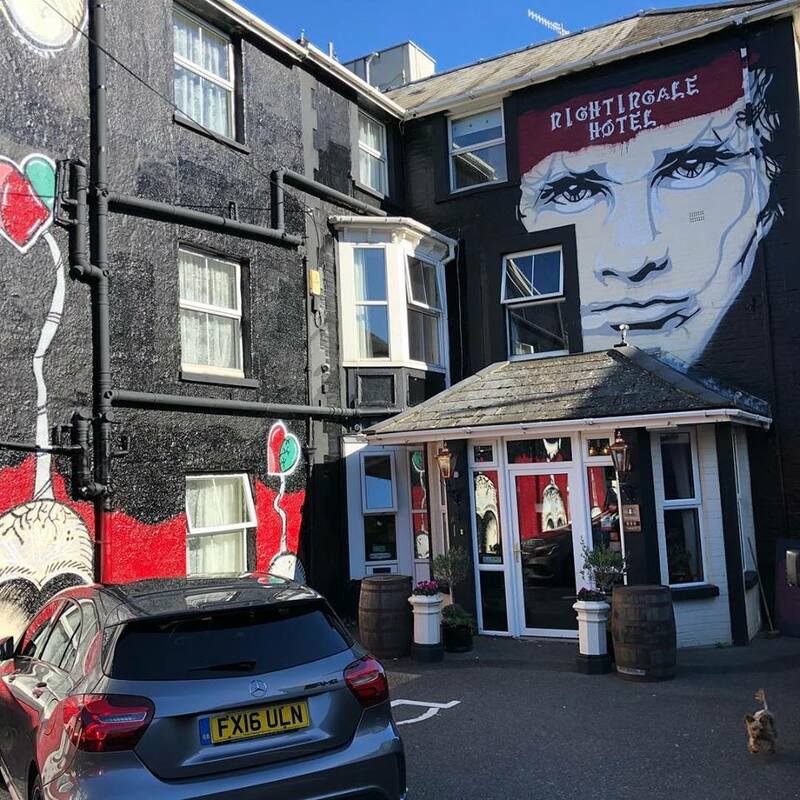 OnTheWight has photos of the alterations made to the ‘controversial’ mural on the Nightingale Hotel following a meeting between the local councillor, the planning department and the hotel owner last week. The ‘controversial’ mural painted on the rear of the Nightingale Hotel in Shanklin has had an upgrade. 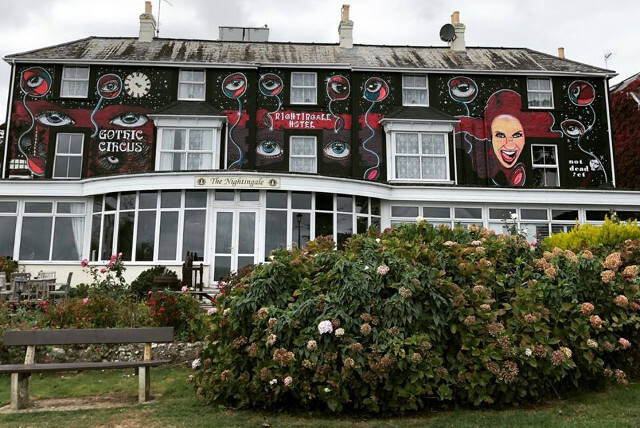 Following a meeting between the hotel owner, the local councillor and the Isle of Wight council planning department last week, some alterations have been made to the mural on Queen’s Road which looks out onto the coastal footpath. Isle of Wight artist, Tony Trowbridge (aka Not Dead Yet), has been busy painting over the twinkling stars that previously adorned the back of the hotel and has also replaced the female redhead (see above) with a portrait of the iconic singer, the late Amy Winehouse. At last week’s Shanklin Town Council, the mayor confirmed the town council’s support for mural. 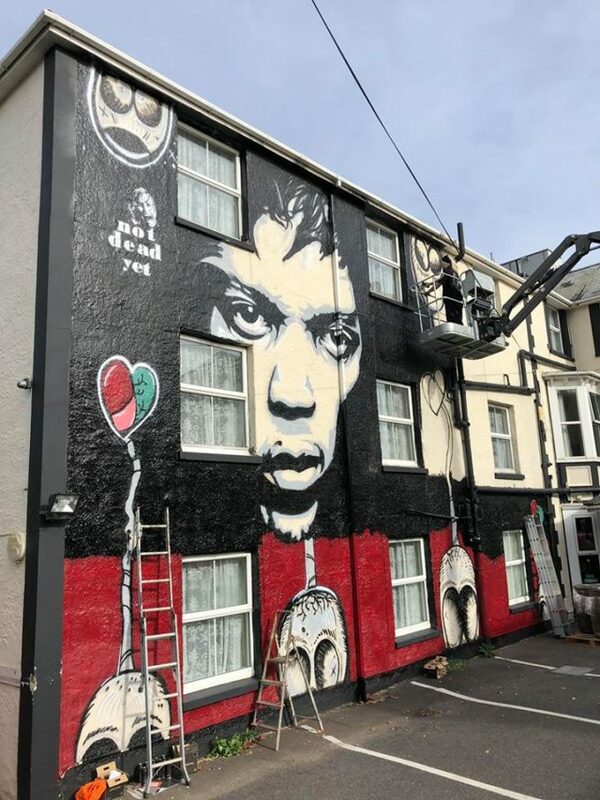 Cllr Steve Knight told hotel owner, Dino Joachim, that most of the town council thought the mural looked great and wished him the best of luck. “The planning meetings and council meetings were all very chilled and productive today. We’re happy to say that we are on the right track now. We have negotiated a few changes to the back of the hotel facing the green. We are replacing the large redhead with an iconic figure. The mural has also been extended to the front of the building and features other iconic figures from the music world, Jimi Hendrix and Jim Morrison – both of whom played the 1970 Isle of Wight Festival (listen to our podcast with the founder, Ray Foulk). 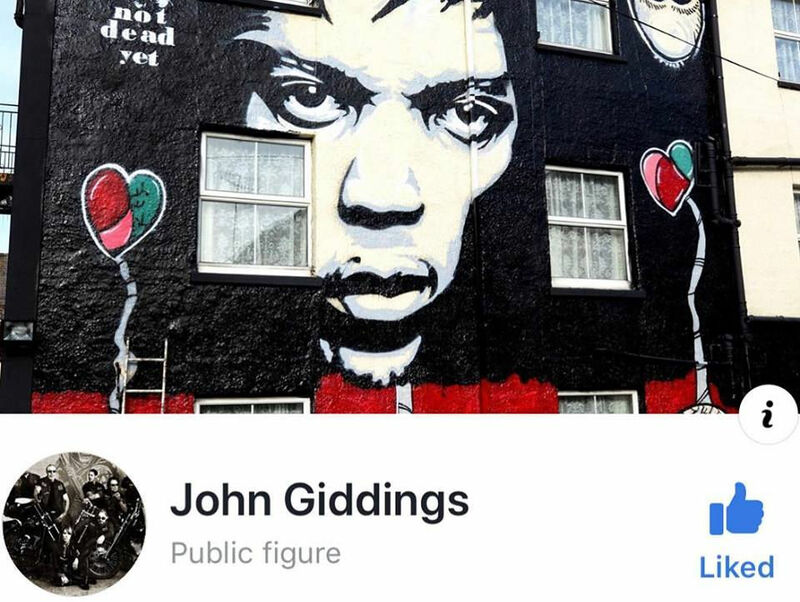 John Giddings who was responsible for bringing back the Isle of Wight Festival in the ealy 2000s gave the mural a thumbs up last week and made the image of Jimi his cover photo on Facebook. 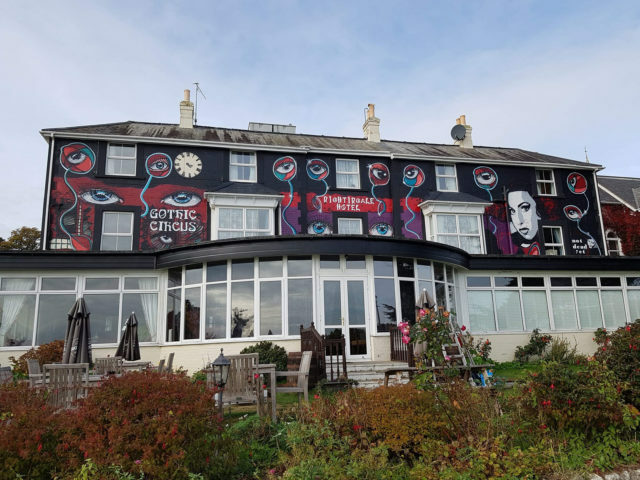 The hotel in Queen’s Road, Shanklin made the front page of the local paper earlier this month after complaints “flooded” in to the ward councilor, Cllr Chris Quirk about the mural on the rear of the building. 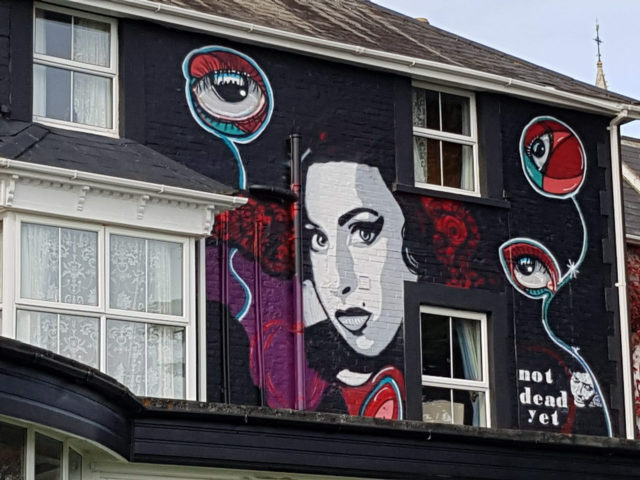 Some people were reported to be unhappy about the mural, claiming it did not confirm to Conservation Area regulations and represented ‘advertising’ for the hotel. Social media was soon awash with supportive comments for the hotel and the mural, so we expect those people will be very happy with the alterations. 2 Comments on "Photos: Changes made to ‘controversial’ mural at Nightingale Hotel following planning meeting"
Bl**dy hogwash…. it’s not clear if the painting of Jimi Hendrix is to stay or go… How on earth the council can say it’s ‘advertising’ and requires planning permission beggars belief. No doubt the same bunch of numpties that sorted out the wonderful FB6. NOT. Perhaps a painting of Churchill would have received praise . I’m voting Labour next time !